The AURORA Collection breaths the fresh air of Scandinavian nature and the astonishing views of the sky. 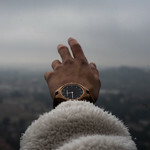 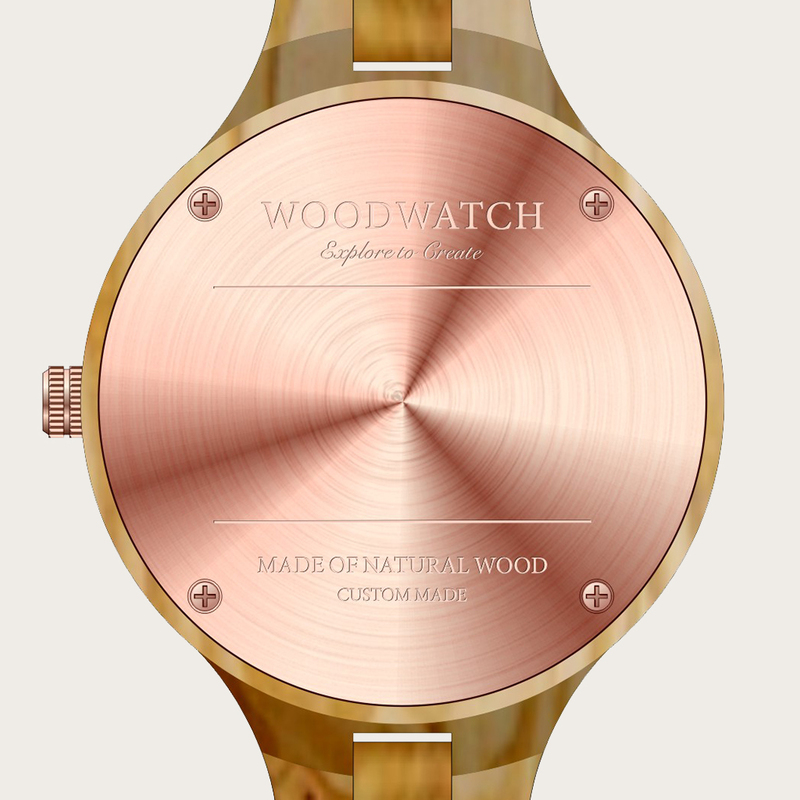 This light weighing watch is made of European Olive Wood, accompanied by a stainless-steel sky-black dial and starry rose-gold details. 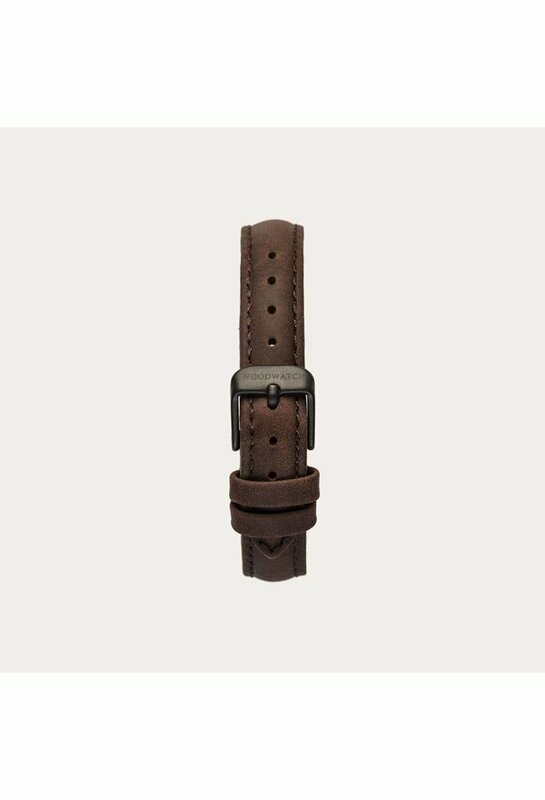 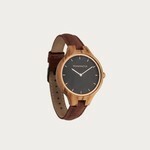 The Pecan Band is made of genuine leather and a metal buckle clasp and is naturally dyed with a light brown hue.